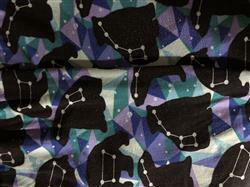 SweetLegs is stoked with our newest winter collection print, Polar Lights. They are a super fun, funky homage to our Canadian roots with polar bears and a northern lights inspired backdrop! Polar Lights features an eye catching geometric background in various shades of blues & purples (from a rich sapphire blue to a subtle icy topaz; with splashes of periwinkle and amethyst thrown in the mix), which would look absolutely stunning when paired with a cozy knit periwinkle blue tunic, black wedge booties, a crisp white knit infinity scarf. Top is all off with a messy top knot and you’re rocking the perfect outfit for your town’s annual Christmas parade or for an evening at the arena. These are the best! I got them as a gift and did not believe how comfortable they would be. 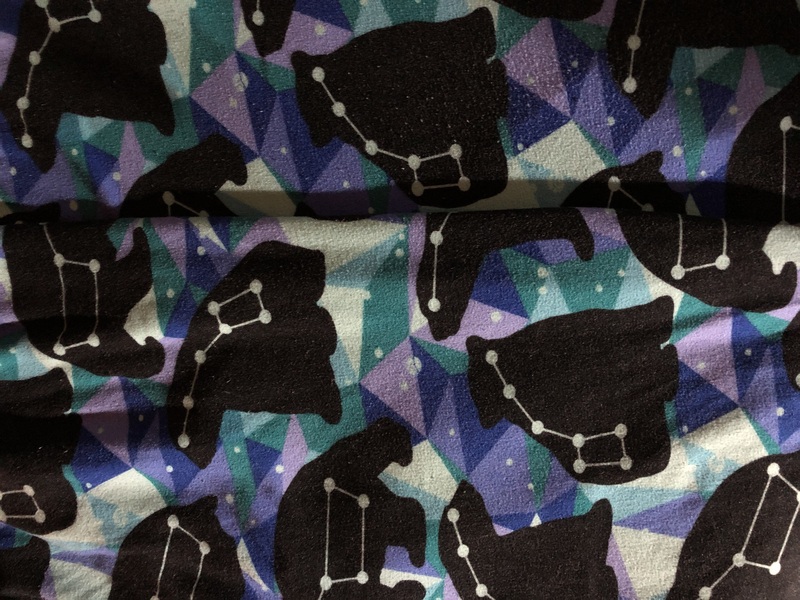 I love bears and constellations so what a fabulous combination. I enjoy the bold colours and all the compliments I get when I wear them. Be wild and buy a pair. Thank-You to SweetLegs teammate Addie, who went above & beyond with her customer care skills! Not only did she leave me smiling, my 2 Moms will be thrilled to receive Polars Lights & Nordic Club in time for Mother's Day! :D Love SweetLegs vibrant colours & stunning prints!